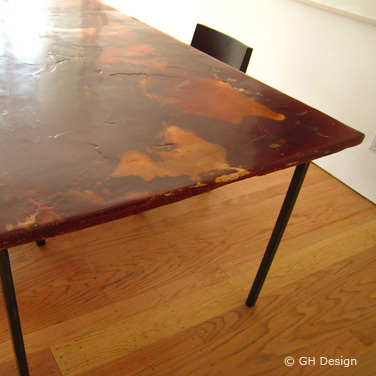 The Resin Table top is a hand poured resin slab. 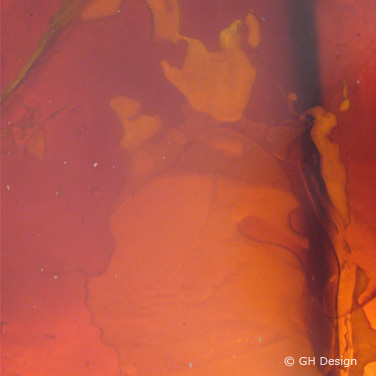 The Resin Table top is produced any shape, size or resin color desired. Every resin pour is unique, making each table top a functional work of art. The Resin Table top sits on a simple square steel base that allows light to pass through the translucent resin material. 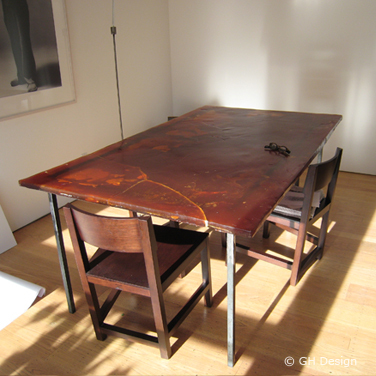 The Resin Table was originally designed for the dinning room of a residence in Menlo Park, California by principle designer Nancy Favier. Dimensions as shown: 42" wide, 6' long and 1.25" thick.